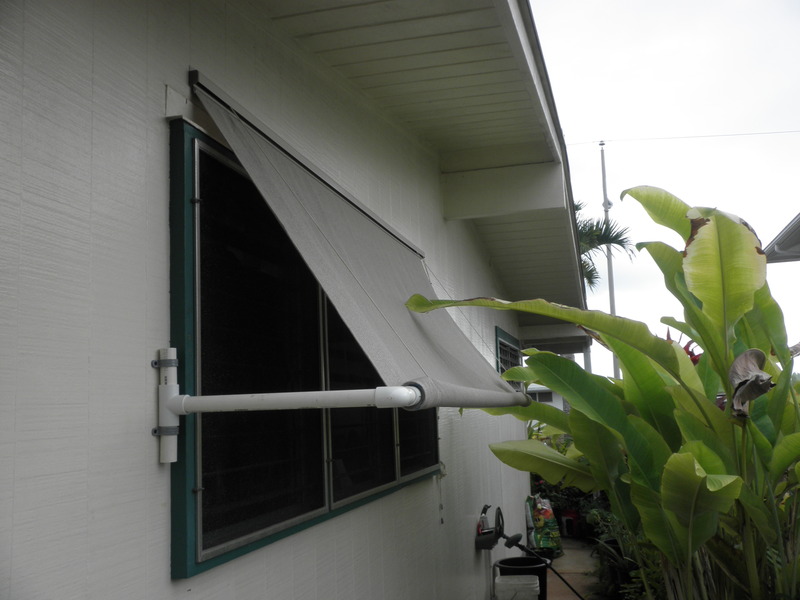 Awning made up of a roll-up shade and pvc pipes. The west side of the house was pretty hot in the afternoons and I had a roll up shade there. I worked okay but didn’t let in enough breeze. Sooo I used some pvc pipes for braces and put the shade further out. This worked great, wasn’t so expensive and won’t ever get termite eaten or rust. This was a good project, quick and easy. By the way, HomeDepot had 20% off cabinets soooo, we are planning the pantry area. Woohoo, next project already!